HMS Agamemnon was one of two Lord Nelson-class pre-dreadnought battleships launched in 1906 and completed in 1908. She was the Royal Navy's second-to-last pre-dreadnought battleship to be built, followed by her sister ship, Lord Nelson. She was assigned to the Channel Fleet when World War I began in 1914. The ship was transferred to the Mediterranean Sea with Lord Nelson in early 1915 to participate in the Dardanelles Campaign. She made a number of bombardments against Turkish fortifications and in support of British troops. 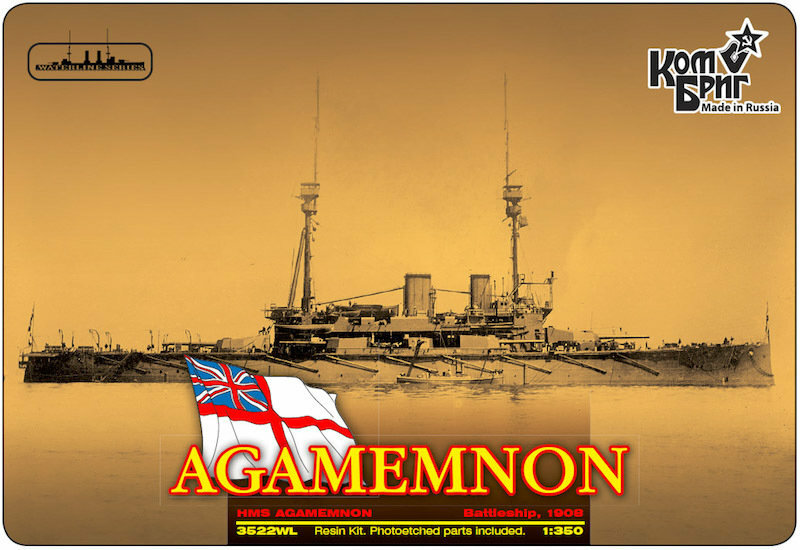 Agamemnon remained in the Mediterranean after the conclusion of that campaign to prevent the German battlecruiser SMS Goeben and light cruiser Breslau from breaking out into the Mediterranean. Agamemnon shot down the German Zeppelin LZ85 during a bombing mission over Salonica in 1916. She was converted to a radio-controlled target ship following her return to the United Kingdom in March 1919 and began service in 1921. Agamemnon was replaced by Centurion at the end of 1926 and sold for scrap in January 1927, the last pre-dreadnought in service with the Royal Navy.